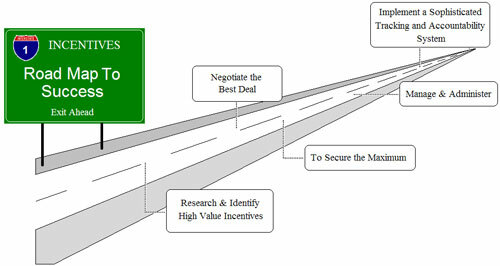 Your business plan is the most essential map for your business success. Always remember it is a living document that projects the years ahead and outlines the route a company intends to take. Still, things change and that is where the living part comes in. There are some very formal ways and some not so formal ways to structure your plan. Listed below are some of the more common parts you will want to know about and the order they are generally presented in. The term executive summary shouldn't scare you away. It is simply a summation of your business profile and the goals you have. Here the reader finds out who you are, where you want to go and why you think your business will be successful. Make it short and attention grabbing especially if you want to present it to an investor or a bank. Here you will highlight the strengths of your overall plan. It is usually presented first but in real life it is the last section you write. This part is a quick overview of the different elements of your company. Here you help the reader understand the goals you have ad how unique you are. Investors want to understand how you fit into the sea of other businesses and why you can be successful. Think of what makes you stand out and makes you different than the guy down the street. A market analysis usually follows the company description with research to show how your uniqueness gives you an advantage or resolves a problem in the marketplace. Here you show your market knowledge. This is the place for your company's organizational structure. It includes details about company ownership. Investors will want to know about the members of your management team. Go out of your way here to provide in-depth profiles and the qualifications of your board members. Basically, who will do what in your business and why did you bring them into the business. Every business is structured differently. it is up to you to find out the best organization and management structure for your business. The next part of your business plan is a description of your service or product. What do you sell? How will your customers benefit? Is it a consumable and what is the product lifecycle? Here you emphasize the benefits to potential and current customers. Focus on why your particular product will fill a need for your customers. Next it is time to focus on your marketing and sales management strategy for your business. Sales are the lifeblood of your business and marketing is how you create a flow of customers. Your primary interest here is to define your marketing strategy. There is no single way to approach a marketing strategy and it needs to be an ongoing evaluation process and unique to your company. That being said, this area should be a summary of a Marketing Plan which is a subject for another time. However, to help you think through the direction and tactics you would like to use to drive sales and sustain customer loyalty, think about things like market penetration, your growth strategy, distribution channels and Communication. These four are essential.